Scientific studies confirm that phytonutrients such as chlorophyll, polyphenols, carotenoids and other antioxidants help support body's antioxidation defense. 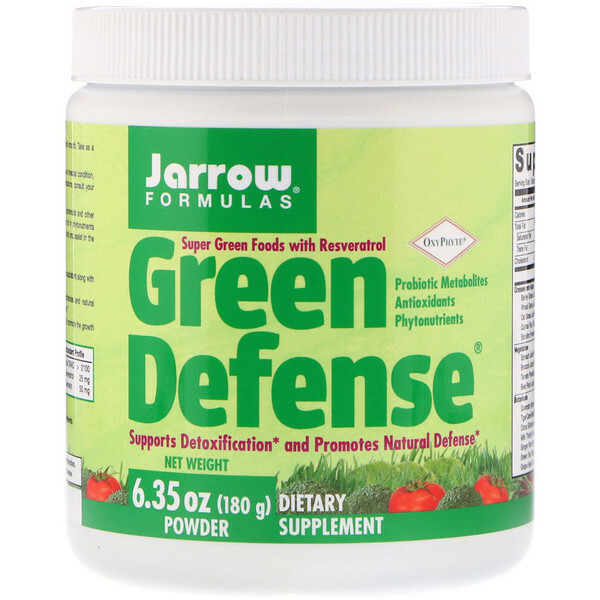 Green Defense is rich in phytonutrients that help support body's self-defense mechanisms, detoxify and nourish the body and assist in the achievement of total well being. Antioxidants, including the stilbene resveratrol from tiger cane root (Polygonum cuspidatum) along with polyphenols from green tea, grape seed and citrus. Metabolin probiotic metabolites (a rich source of organic acids, polysaccharides and natural bacteriocins) to help balance the intestinal microflora and promote detoxification. Fibers from apple, rice bran, gum acacia and FOS (FructoOligoSaccharides) to promote the growth of good bacteria and enhance detoxification. Add 1 scoop of powder to 6 oz water or juice. Mix or blend until smooth. 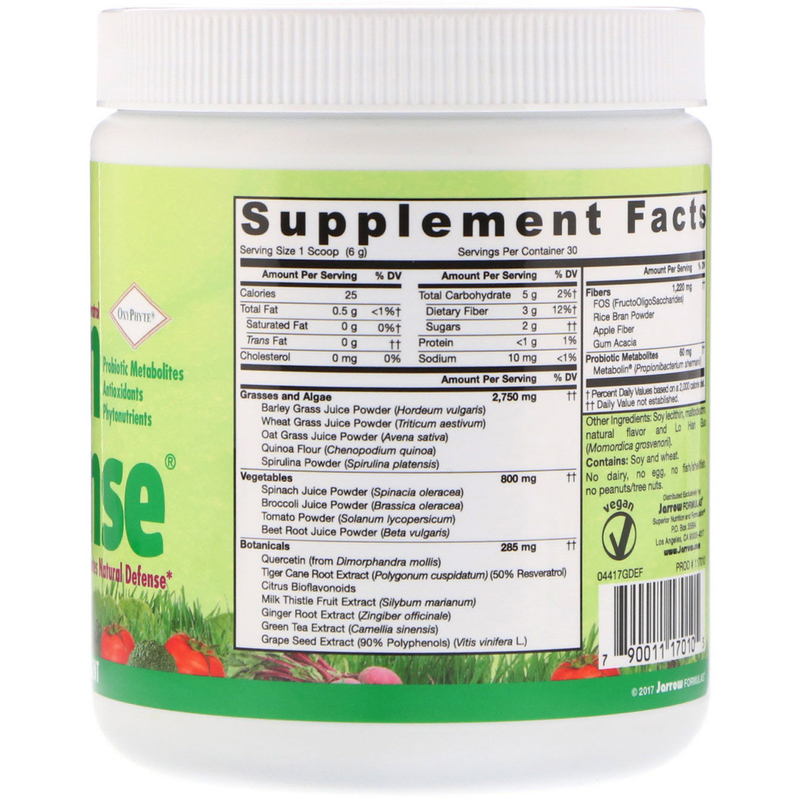 Take as a dietary supplement or as directed by your qualified healthcare professional. Soy lecithin, maltodextrin, natural flavor, and lo han guo (momordica grosvenorii). No dairy, no egg, no fish/shellfish, no peanuts/tree nuts. No refined sugars or artificial flavors. Note: Appearance of the product may vary due to the nature of the plant ingredients.